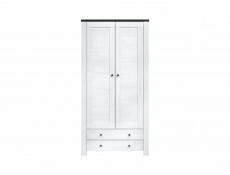 Size: 101 cm (W); 92 cm (H); 40 cm (D). 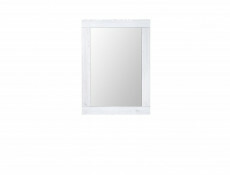 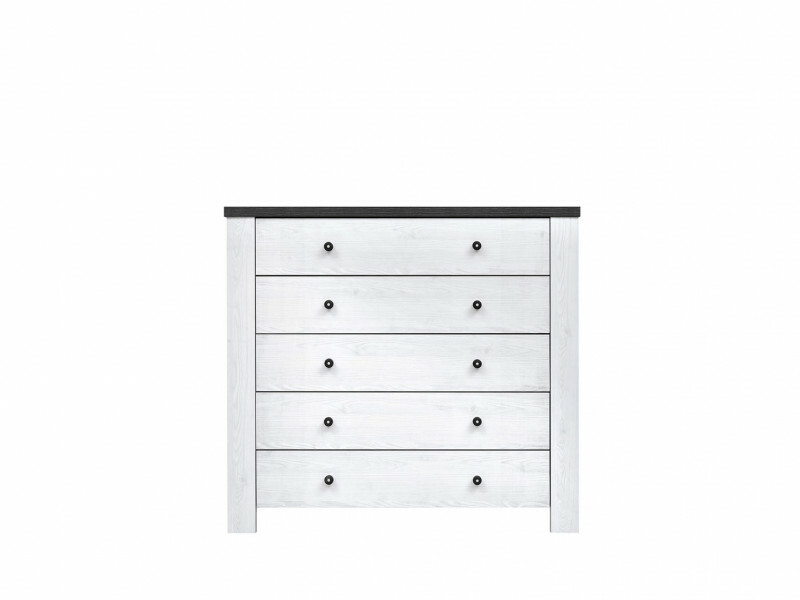 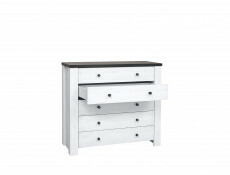 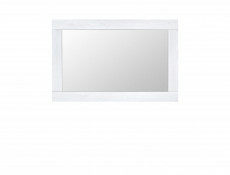 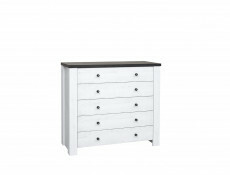 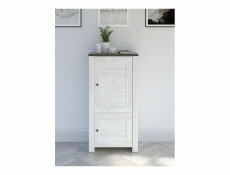 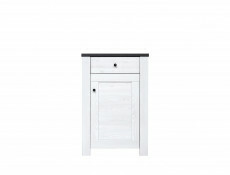 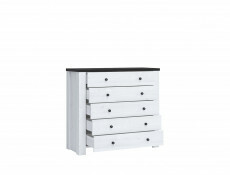 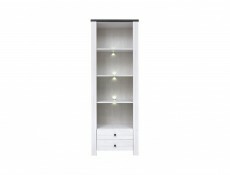 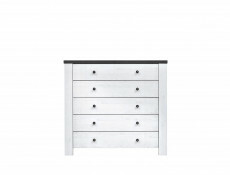 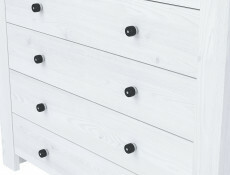 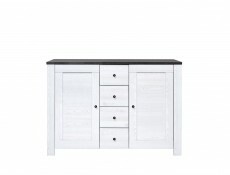 ANTWERPEN furniture range offers a Chest of drawers with 5 soft close drawers. 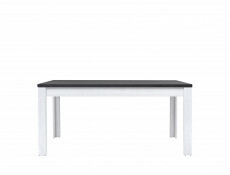 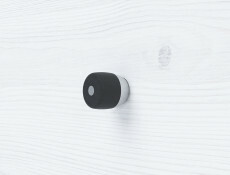 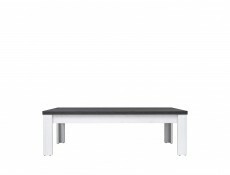 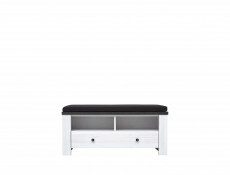 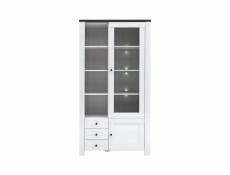 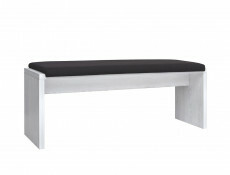 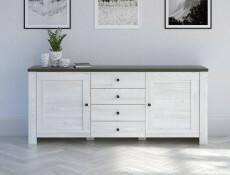 This Scandinavian feel furniture will lighten any room. 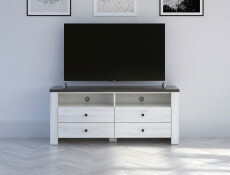 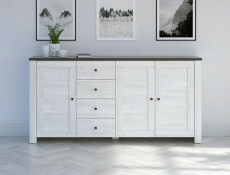 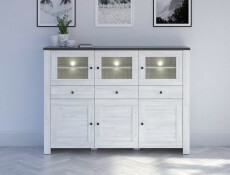 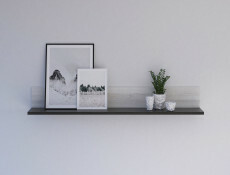 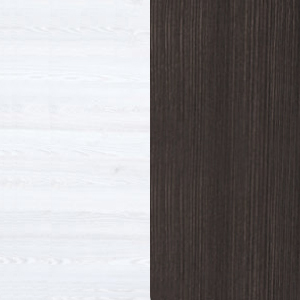 This durable laminate range is available in the unusual and striking contrasting combinations of white washed effect 'Larch Sibiu' body and facades with Pine Larico tops and gives a modern twist to this sturdy furniture range.